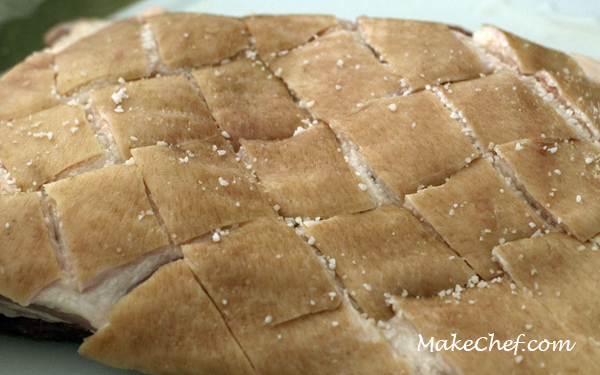 Score the skin and rub with kosher salt. Rinse pork belly and pat very dry. Using a very sharp knife, score the skin as shown in the picture. Combine the ingredients for the marinade and add to a container large enough to hold the pork. 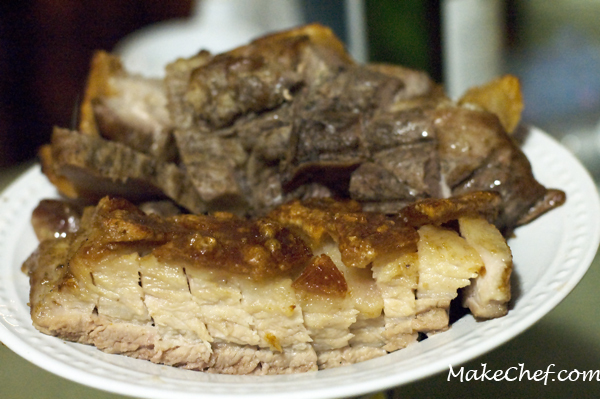 Place the pork skin side up into the container. Wipe the skin with a paper towel to remove moisture and rub kosher salt into the skin. Leave the meat uncovered in the fridge overnight to dry out. Take the meat out of the fridge an hour before roasting to bring it to room temperature. Pat the skin dry with a paper towel. Set oven to broil, 500°F, rack in upper third position. Broil the pork for 30 minutes. Lower temperature to 400°F and bake for 40-45 minutes. Allow the meat to rest before cutting. Crispy pork belly is delicious in pork buns. 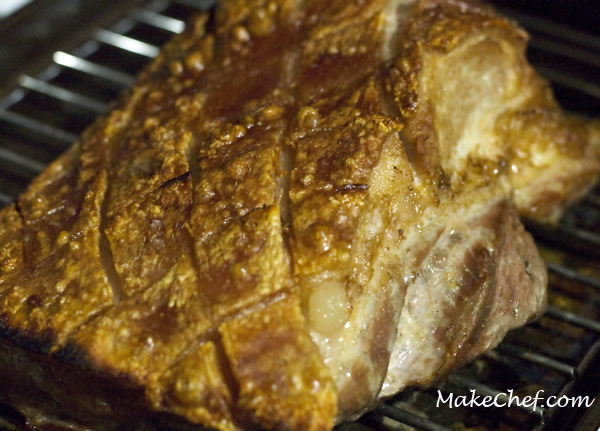 This entry was posted in Pork, Recipe and tagged belly, crispy, pork.